Photo via Efficient Drivetrains, Inc. 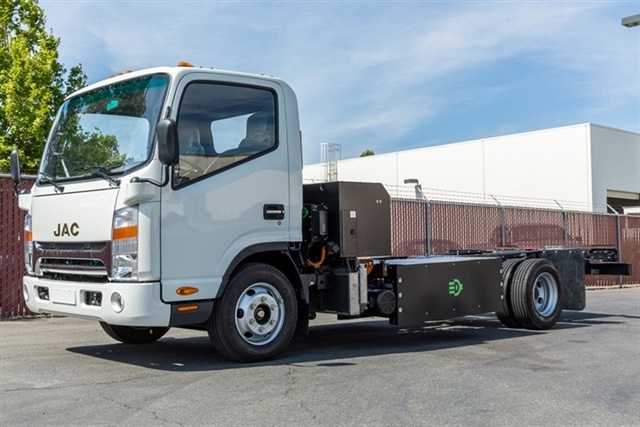 Hybrid and electric drivetrain solutions company Efficient Drivetrains Inc. and First Priority GreenFleet announced an agreement to produce alternative fuel commercial vehicles. EDI offers a line of electric and hybrid-electric drivetrains as well as telematics and charging solutions. FP GreenFleet will provide volume manufacturing and service capabilities for EDI customers. The companies will produce all-electric zero emissions and hybrid vehicles from Class 2 through Class 8, for applications such as logistics, emergency response and utilities, among others. The partnership with EDI is designed to scale up California-based alternative fuel vehicle manufacturing in the Central Valley as well as to carry out the state’s Sustainable Freight Action Plan, Zero-Emission Vehicle Action Plan and other clean vehicle initiatives. Earlier this year, First Priority GreenFleet acquired the assets of Electric Vehicles International (EVI), a California-basesd company that makes battery-electric light- and medium-duty trucks as well as a plug-in-hybrid utility service truck. It also sells powertrains and performs conversions.